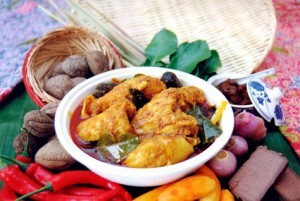 Ayam Buah Keluak is an authentic Peranakan dish. The dish is made from chicken or pork pieces with keluak nuts and crushed spices. It is best if you eat it with rice, egg and kangkong. This dish requires a lot of work to complete. If you want to taste it, you should go to Peranakan restaurants like Spice Peranakan, Blue Ginger and Baba Inn. Wanton Mee or commonly called Dumpling Noodles comes in distinct flavours- Singaporean and Malaysian version and Hong Kong version. To date, there are other variations available. 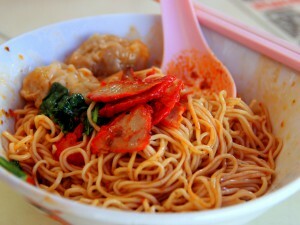 Wanton Mee is made from dumplings or char siew, noodles and clear broth. If you want to taste it, you should go to Happy Wanton Noodle @ Bukit Timah Food Centre, Kok Kee Wanton Mee @ Lavender Food Centre and Foong Kee Coffee Shop. Fish Head Curry is an Indian dish. The dish is prepared by simmering the head of a fish (usually a red snapper) and covering it with hot and spicy curry with tamarind and vegetables. It is best if you eat it with rice. 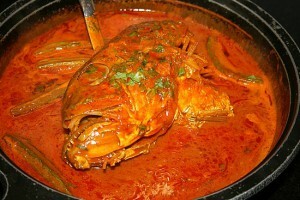 If you want to taste it, you should go to Ocean Fish Head Curry, Banana Leaf Apolo and Muthu’s Curry. 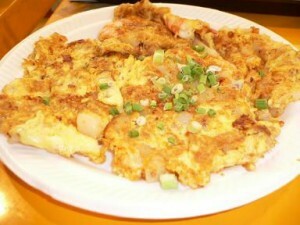 Fried Carrot Cake is a Teochew dish. The dish is prepared by frying radish and rice flour then garnishing it with onions. If you want to taste it, you should go to Makansutra and Newton. One day is not enough to taste and explore signature dishes here in Singapore. Whatever dish you prefer, you will surely ask for more. Happy eating!